She attendes to the 7ª JORNADAS DE LA RED DE CATÁLISIS ASIMÉTRICA (7J_CASI) – 2018 (4-5th October. Hondarribia – Fuenterrabía, Gipuzkoa, Spain). No doubt about she will also enjoy the great Basque food! 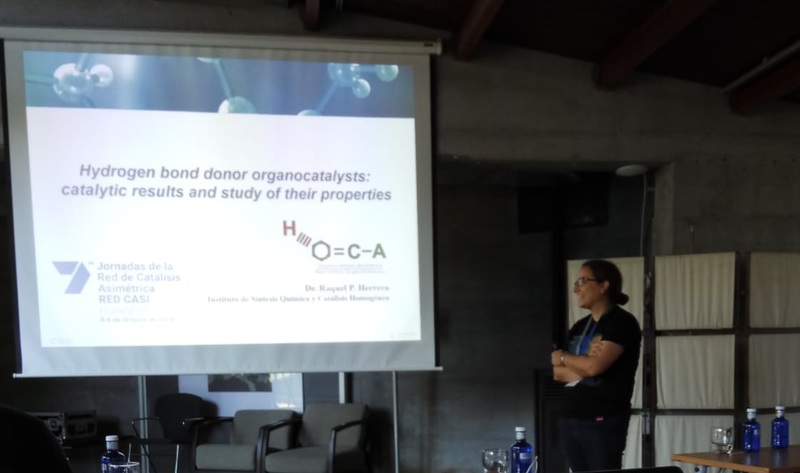 This entry was posted in Conference, Congress, Raquel P. Herrera and tagged 2018, 7ª Jornadas de la red de catálisis asimétrica, 7J CASI, Asymmetric organocatalysis, CASI, Conference, Congress, Fuenterrabía, Gipuzkoa, Hondarribia, Symposium. Bookmark the permalink.